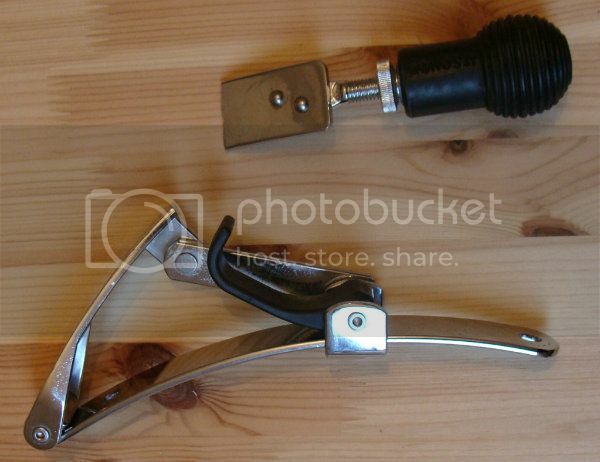 I'm searching for a bass drum spur (right) from a Sonor Jungle Set Sonic Plus, with a 16 inch BD. As you can see in the photo bellow, the spur I have is broken and I want to replace it. Does anyone have a spare and unbroken piece like this for sale? NB: please kindly use the section 'Wanted to buy' in this forum this/ next time. How did you manage to break that ?